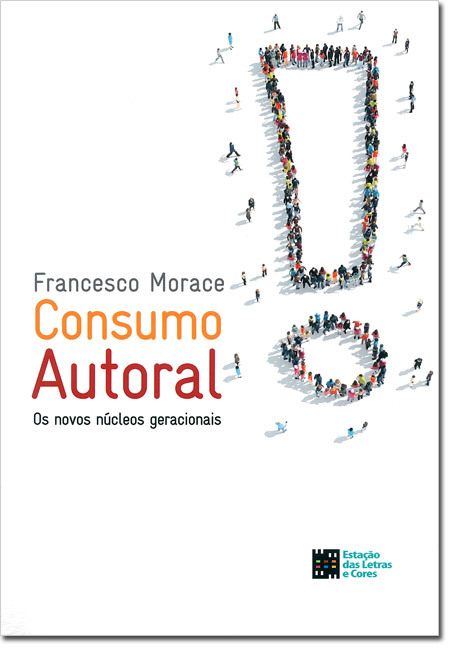 In ConsumoAutoral - Os Novos Núcleos Geracionais, the book published by Estação Letras e Cores, Francesco Morace tackles in an original way the analysis of generational nuclei, given the growing importance of communication – fast and incisive – that arrives to people depending on age and class. With the web that extends and strengthens contents, for a happy and possible growth. In an analysis on the generations conceived in the digital era, the first step is in fact the extraordinary ease with which the web allows for the strengthening of new relations between the generations. Something more than the sum of the parts is now also generated by the relationship between individuals of very different age, class, and census: digital technology, instead of dividing, unites. “Happy growth will only be possible starting from this evidence”, affirms Francesco Morace in ConsumoAutoral - Os Novos Núcleos Geracionais. “We need to know the generational nuclei (in the book we identify 16 from the Lively Kids up to the over seventy year old Health Challengers…)”. According to Morace, the virtuous relationship between generations is an important step in the direction of new vital and creative strategies which also involve the ability to personally manage the most advanced and innovative challenges, eg. through the fertile crossing between local diversity. In this sense, it becomes very important – in projects of growth – to feed unexpected connections, just as happens online. It is in this sense that the challenge of happy growth is now acquiring the traits of an existential quest in which the classic references to socio-demographic parameters derail, and instead gestures and words of each acquire importance. We are precisely in the field of ConsumAuthors, creative generational nuclei that exchange their experiences according to ambivalent moods making the standard bearers of marketing crazy and that focus on the experience of each individual.